Advance your Public Safety Department with Drones Unmanned aerial vehicles are changing the public safety sector. These devices are no longer toys, but tools used to keep officers and communities safe. Unmanned aerial systems are becoming an essential life-saving tool for public safety departments. Police, fire, and EMS departments are implementing drones into their daily operations. Our custom public safety training is taught by our expert flight instructors with public safety experience. Many departments are starting from scratch to develop an internal drone team. We are the experts at getting new drone pilots ready to enter the national airspace safely and effectively. Our training can be tailored to pilots of any experience level. Government agencies can either fly under Part 107 or an FAA COA. We will assist your agency in deciding which option best fits your needs, filing a COA application, or preparing your pilots for their FAA Airman Knowledge Exam with in-person or comprehensive online courses. Get your drone pilots up to speed on the exact processes necessary to complete your department's specific missions. Learn how to safely and effectively set up, execute, and recap each aerial public safety flight to best serve your community. We are here to help. We can adapt our programs to perfectly match your departments’s needs. Our instructors will come to your department to train your team. Save time, money, and the hassle of having your team travel to a training facility. Giving your team exactly what they need is our priority. Tell us what is important to you and we will customize our training to your exact needs. Our national team of instructors have a diverse background in aviation, drones, and public safety. We will dispatch instructors with a public safety background to teach your department. Looking for a standardized way to train a national team? Our training is designed to provide consistency to even the largest drone programs. We can customize any and all of these programs to fit your exact needs. Our instructors bring public safety, aviation, and sUAS experience to teach you about drones for your department. Our Flight Instructors are all manned aircraft pilots with a passion for drones. Our instructors have extensive experience not only in drone operations, but also in public safety. Michael is an active Sergeant with a public safety department in Florida, where he is cross-trained as a law enforcement officer, firefighter, and EMT. 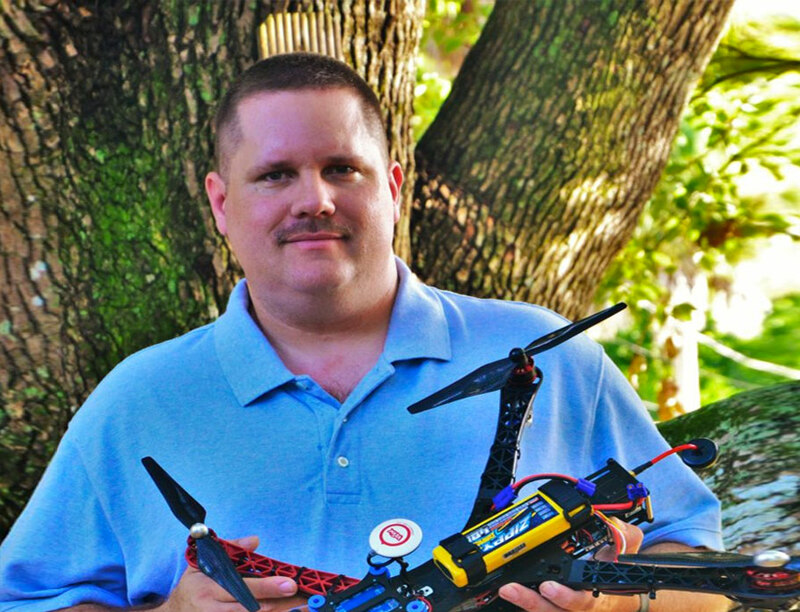 He has extensive aviation expertise with a degree in Aeronautical Sciences from Embry-Riddle, a commercial pilot certificate with single engine, multi-engine and instrument ratings, and 17 years of experience building and flying remote controlled aircraft. Roger spent 25 years on the Nashua New Hampshire Fire Rescue team serving as a firefighter & a member of the hazmat & dive rescue teams. He is a licensed sport pilot, FAA Certified Ground Instructor, & Certified Level 1 Thermographer who enjoys flying weight shift control aircraft. Learn how we can get you started today. Where can I learn more about sending 1-3 people to a pre-scheduled class? How many people do you train in your custom group training courses? This is totally up to you. We can use multiple instructors to train large groups, break up the group into different training sessions, or train small groups that get a lot of one on one time with our instructor. Does our team already need to own a drone to get trained? No. Our instructors will provide an applicable drone for training. For insurance and liability purposes, students MUST use the provided equipment. 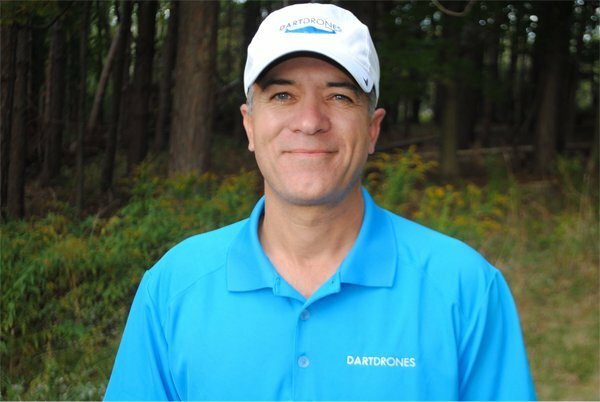 Agencies can use their own equipment during the course if they provide proof of liability insurance with DARTdrones LLC named as an additional insured prior to the course. Interested in learning about our consulting services?